The NuSmile Facelift is an orthodontic appliance that can transform a face to look more symmetrical and youthful. For the website we created a series of banners combining skeletal and facial imagery. The website is made up of a series of before and after animations to show the affects of the appliance on actual patients. 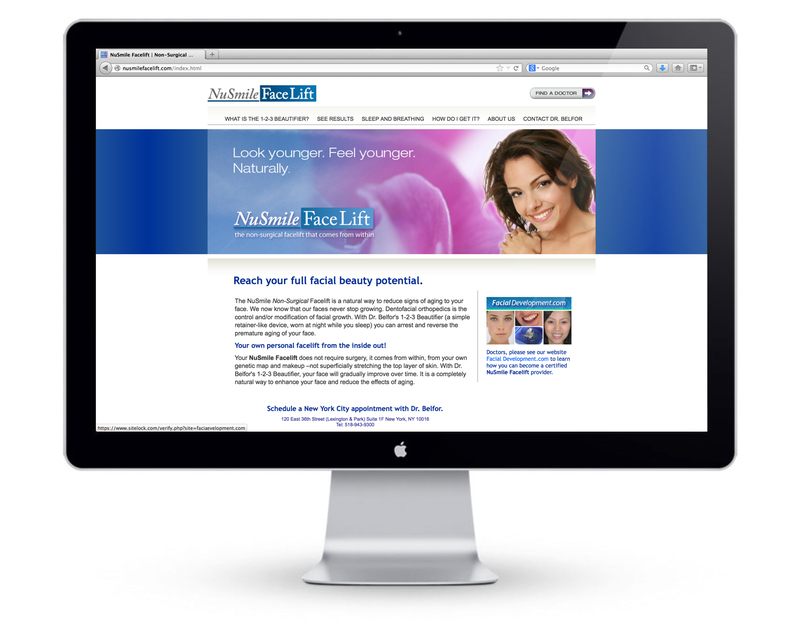 The logos NuSmile FaceLift, and 1-2-3 Beautifier were both created for the website.